Exrates came up with a facelift lately and new Exrates 2.0 amazes with renewed cutting edge design as well as fixed bugs, enhanced safety, improved speed and optimum user experience. Leading crypto exchange Exrates recently had a makeover and for all the amazing reasons. The new Exrates 2.0 stands out in the crowd with state of the art UI design, faster speed, improved safety and enhanced functionality. The platform will soon implement IEOs in its new avatar. “It’s a great moment for us to extend our all new Exrates 2.0 before you. We are a dynamic team who believes in evolving with changing times. The latest makeover echoes such ethos and we promise you a more enhanced experience with Exrates than ever before”, stated Sydney Ifergan, leading crypto expert and brand ambassador of Exrates. The Exrates 2.0 opens up with a clean and smart dashboard featuring Graph and Markets at the top. Despite its dark background, intelligent use of font color makes everything easily legible. 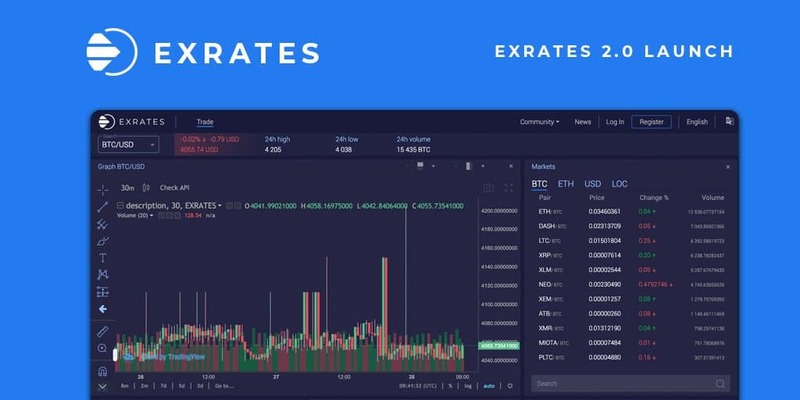 The new Exrates platform not only houses a brand new cutting edge layout but has also incorporated major changes in navigation and other areas of the platform.